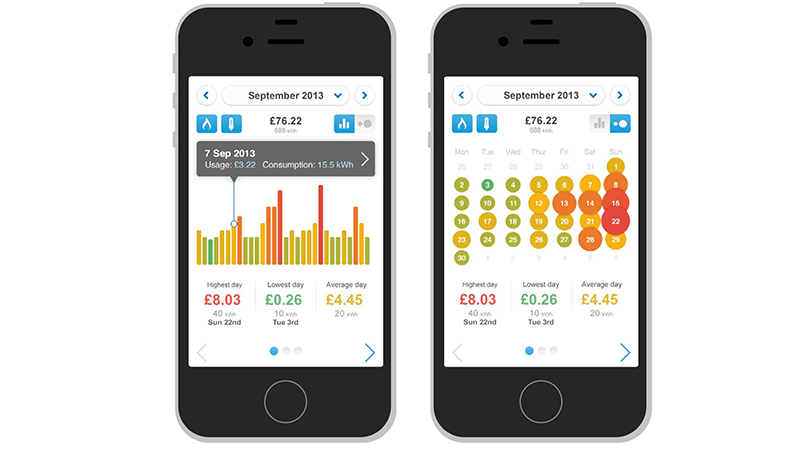 With smart meters being rolled out to all British homes by 2020, energy firm British Gas wanted to display the data collected by the smart meter directly to the customer. 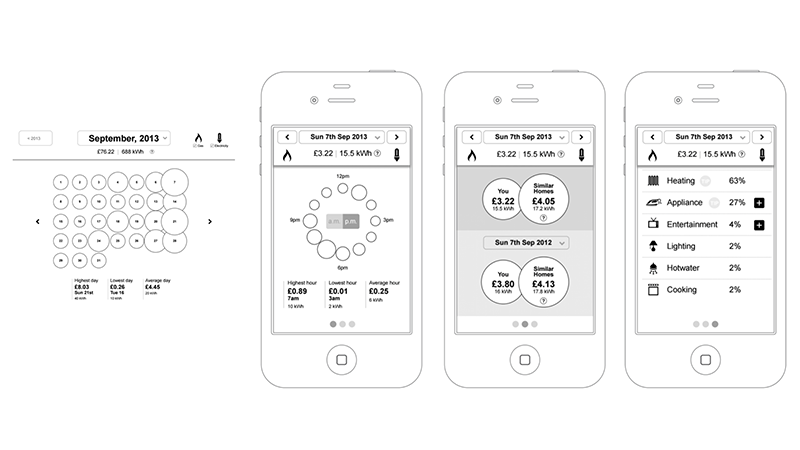 This was done via both a mobile app and a web app as part of their online account. I was part of a small team that looked at ways this information could be displayed and how that insight could also encourage customers to make changes to the way they use energy so that they could save money. I explored ways that graphs could show high and low energy usage using colour, density and size. I also looked at ways of comparing energy usage over time and with similar homes. I'll keep this as brief as possible. I'm married with two daughters and when I'm not enjoying life with my family, I'm running, biking and (recently) swimming. I've taken part in too many running races to recall as well as 3 marathons, 2 triathlons and duathlon. Gardening offers me a sense of mental relaxation so I enjoy that a lot too. Personality tests often describe me as analitical and strategic and if pushed, my wife says I sometimes think too much.